I was incredibly saddened to hear that Game Developer Magazine was to cease publication. I’m looking at the magazine as I write this. It has a bleak jet-black cover with the words GAME OVER, dead center in plain white lettering. Those two words bring a pang to my heart. When I attended my first Game Developers Conference, I was offered a free subscription to the magazine as part of my registration process. I signed up for the subscription right away – it was a bit of a thrill for me. For someone so new to game development, being offered that free subscription felt a little like a secret initiation – as though I had been found worthy of joining the community and would now receive the benefit of knowledge that only the insiders knew. Of course, I was well aware that this was a tremendous exaggeration, but a part of me clung to the conceit that the magazine subscription was a little rite of passage. I rarely read the magazine in any organized, consecutive manner. Mostly, I enjoyed opening to random pages and reading whatever article I saw there. The Design of the Times articles were eye opening for me, providing tremendous insight into the struggles of designers. I had no idea that the pursuit of the fun factor would be so remarkably complex, requiring such a deep knowledge of psychology, economics, and the long and rich history of game systems from both the ancient past and the present day. With every issue, my appreciation for the struggles of game designers grew. Articles about programming languages, artificial intelligence and physics were written in an arcane lingo that skimmed my consciousness in the same way that liturgical Latin might have done. This was the language of the ancient society of technicians, engineers and coders – it wasn’t meant for me. Nonetheless, I did read a lot of these articles, because now and then there would be a moment of humor, a glimpse of pathos and exhausted camaraderie, or a spark of enthusiasm and inspiration that would reach out of the labyrinthine text and capture my imagination. If I had overheard such a conversation at the watercooler, and one of the engineers noticed me listening and gave me a shrug and a smile… that feeling is close to how I sometimes felt, reading those articles. The interviews were always surprising and interesting. It seemed to me that there must have been something about the journalists of Game Developer Magazine that inspired people to speak with startling frankness and gritty honesty. I read blunt observations about the video game marketplace. Successes and failures of games were discussed in the context of economic realities and the changing expectations of gamers. Prominent developers openly grappled with the problem of fitting their creative aspirations into a business model that sometimes couldn’t accommodate them. Triumphant developers crowed about their bestselling games, and hardened veterans shared war stories about the big hits that almost were. 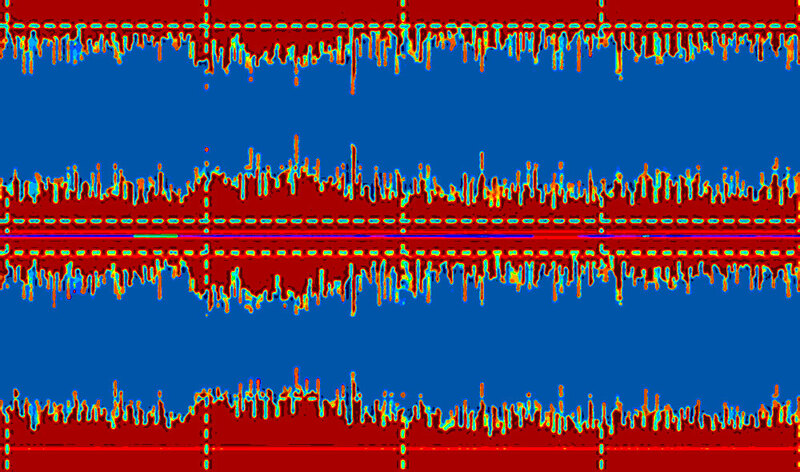 Of course, I eagerly pored over the Aural Fixation column, since it focused on the audio side of game development. The technical articles were always fascinating, and this extended into the audio product reviews. Several products that I first learned about in Game Developer Magazine are now a part of my working life. I loved the Arrested Development column at the back of the magazine, where the keenest observations about game development would come leaping out of the magazine, dressed in the disguise of sharp and irreverent humor. This sweetly acidic dessert at the end of the meal was always the perfect finish… but I’ll admit that I often ate dessert first. 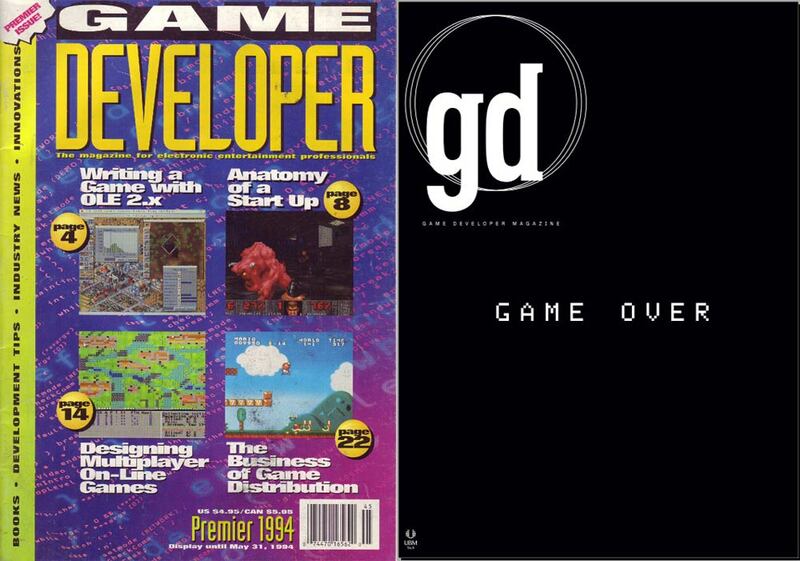 As a magazine that depended on advertising revenue to stay afloat, Game Developer Magazine was wounded deeply when many of the companies making software development tools consolidated. Where before, there were many software companies buying ad space in the magazine, now there were only a few. For the magazine’s parent company, the meager profits simply couldn’t justify the continuation of Game Developer Magazine. The decision was made, and that final issue with the stark black cover was shipped out. GAME OVER. Nothing I can write here could adequately pay tribute to Game Developer Magazine. It provided me with a connection to an industry I loved. Every month, the magazine helped me to cultivate a deeper understanding of the struggles and successes of my fellow developers, and for that I am grateful. My heartfelt thanks go out to the writers and editors of Game Developer Magazine, for their creativity and their passion. I’m sure that they will all find great opportunities awaiting them in the field of digital games journalism, and I am looking forward to reading their contributions… but I will miss the unique combination of talents and personalities that made up this dynamic team of writers. Thanks to one and all for the many years of insight, instruction, and community spirit that you shared with me. I’ll never forget it. You can read the entire final issue of Game Developer Magazine in a free PDF that they’ve made available at this link. Below you’ll find a list of the former editors-in-chief of Game Developer Magazine, along with either their Twitter pages (if applicable) or their LinkedIn profiles. First, I remember taking meetings to discuss the music needs of two projects that would become my first two gigs in the video game industry – Charlie and the Chocolate Factory (2K Games) and God of War (Sony Computer Entertainment America). 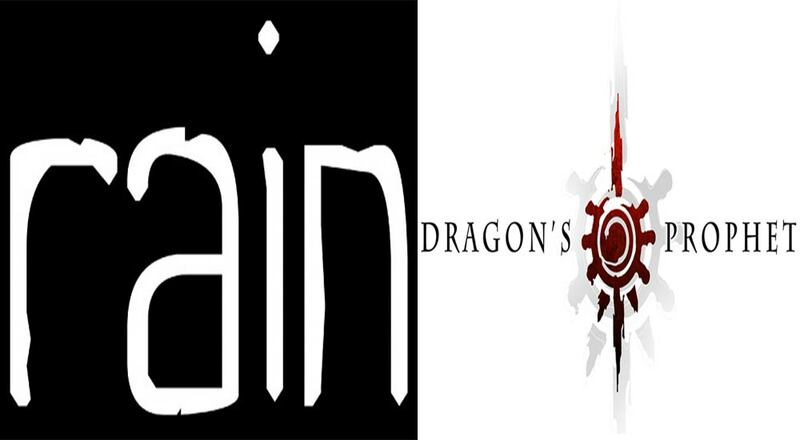 These meetings would mark the beginning of my full-fledged career in game development. Second, I remember not being able to hear any of the playable games in any of the kiosks on the show floor at E3. Developer representatives at the show would admit this pretty quickly when I asked them about it. “No, you can’t really hear the games here,” they’d say with a shrug and a smile. “There are speakers, but we turned those off. The noise level is too much, nobody can hear anything.” At the time, that really surprised me, but after several years of seeing that same E3 phenomenon repeated over and over, the surprise wore off. Traditionally, the E3 show has relied heavily on visuals to propel excitement. In the past, seeing was believing, and audio couldn’t be experienced except in the big video trailers for the most important games being presented that year. These trailers were typically shown on towering screens on the show floor, where they dwarfed the demo kiosks and emitted thunderously epic music in a cyclical pattern, all day long. This often meant that the trailer music for the company’s tent-pole game accompanied the playing experience for every game in that booth. It could be a weird experience, particularly if you were playing a snowboarding title or a brightly colored platformer while listening to angry apocalyptic choirs and orchestral explosions of mayhem and despair. The audio and music components of video games don’t tend to be acknowledged in early press coverage for an upcoming game title. Graphics, physics, story, design, controls… all these are discussed, sometimes at length, but audio and music tend to be missing from the discussion. At an event where the audio and music of a game are missing, this phenomenon is perhaps unintentionally reinforced. 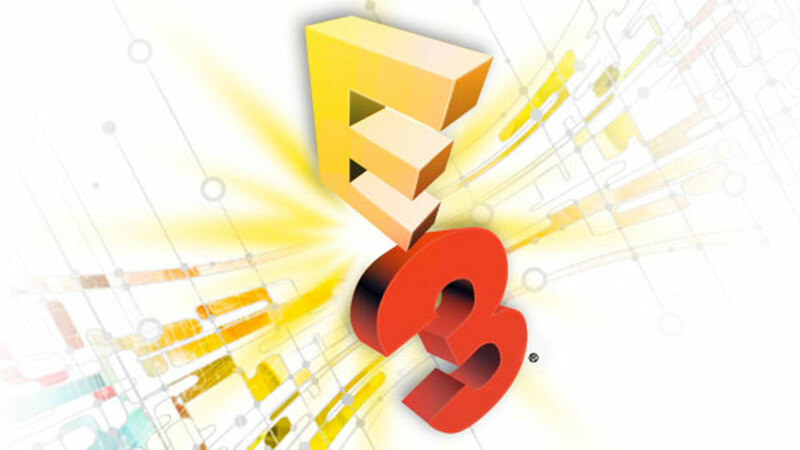 As I write this, I’m about to embark on my second day wandering the E3 2013 show floor at the LA Convention Center. This year, I have been pleasantly surprised to see that some changes have been made. Headphones are all over the convention floor, waiting invitingly at nearly every game demo kiosk I’ve seen. While some of these headphones are clearly present to enable chat during multiplayer matches, others are there simply to afford retailers, press and industry reps the chance to hear the games they are playing. It’s a subtle but powerful change in the way games are promoted in the industry, and one that makes me hopeful that the music and sound of games will be more recognized moving forward. Seeing pairs of headphones hanging next to displays at so many demo kiosks at E3 has been a great surprise, and I think it’s a very hopeful sign. I’ll be reading the E3 hands-on articles with great interest this year, looking for signs that journalists are getting an earful as well as an eyeful. Hearing is believing.